As one of the most leading business solutions and investment planner, Venture Giants is a UK based network of self accredited investors and self entrepreneurs dedicated to grow and expand the various business plans for the clients through the set of protocols that proves to be reliable to the clients from the angel investors. 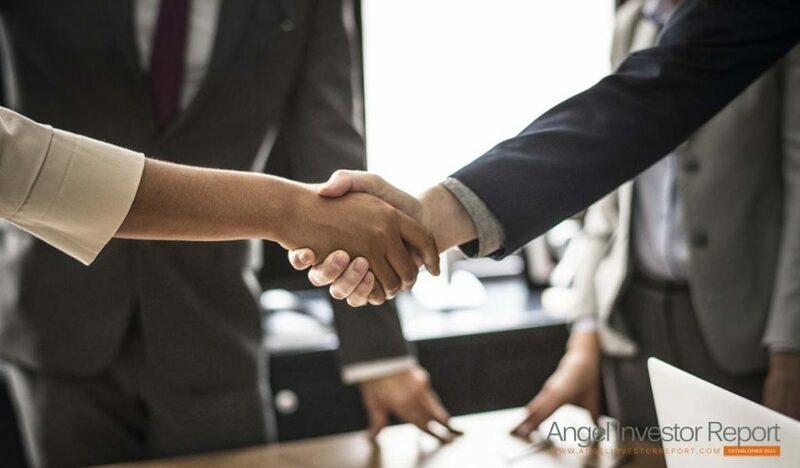 To provide the best investment solution and a process by which most of the entrepreneurs connects with the leading angel investors; Venture Giants provides business funding to the other small existing business organisations to help them expand their business to a great extent. The portal matches some of the active and leading small business angel investor organisations to the active entrepreneurs. Venture Giants was established to provide both new opportunities for the small companies and to provide better solutions related to various capital investment branches. Venture Giants deals with authentic process of matching active angel investors to the entrepreneurs while providing them better solutions to their queries. With better approach, anyone with world class business plans can submit the proposal fast and safe to the angel investors. Venture Giants is a confident set-up that confirms its leadership in providing the better entrepreneurs to the people and their clients. As an entrepreneur, locating and finding the business angel investors would be a daunting approach. Therefore, it is hard to locate a specialized investor who can guide you in the investment process as per your requirements. Venture Giants proves its presence by dealing the daunting process of searching the entrepreneur to the other consulting solutions and approaches. The most beneficial conduct for the company and the organisation is to triumph in attaining the funding other deals with the investors. Venture Giants has decades of experience under its belt and has established their equation with the Angel investment industry. Due to sound experience, it offers lot of advantages to different individuals and investors. Visibility of Venture Giants is far better than other industrial sources. Proposals received by our mediator are of high quality and revolves around the wide network of business. While becoming the most authentic and dedicated organisation in various consultancy and business plans, Venture Giants has a target of becoming the world’s leading source of business solutions and investment ideas. As a provider, the company’s policy is to motivate various small scale and small set-up industries and units to grow themselves. Venture Giants is one of the best starting places for experiencing investment proposals and industry. It provides efficient facilities for getting perfect source as investors and informs how to influence them by providing efficient and appropriate proposals and presentation. In industry, it is essential to get matching source that act as perfect entrepreneur for the business. Venture Giants provides a perfect network between the investors and entrepreneur. It is our prime goal to convince investors to make larger and mutual investments. Our experts will take care of all your financial needs and will treat as part of the Giant family. Venture Giants provides some of the safest and secure investment plans for the aspiring investors. Company assures that all the investors are going to enjoy high growth capital investment with satisfactory profitable outputs. Investors of Venture Giants can subscribe to the Filtered deal flow notification completely free of charge. It is an e-mail service that helps to update you with all the recent investments and upcoming investment opportunities. Investors can get different business details that may suit your investment limit and select them. Venture Giants is a perfect match maker as it establishes best networks between different entrepreneur and angel investors. Those who are highly interested to get a start-up company for investment can get efficient entrepreneur with the help of Venture Giants. To establish a perfect company, you can easily get Angel funding from this source. You can enjoy different ideas on investment capitals that may help to grow your business rapidly. There are about 52% of average contact rate that sends your investment proposals to your investment database with an ease. There is no other place that can provide you better solution for increasing capital. As a prominent investor and source provider, Venture Giants takes to charge a fee on the finders and opportunity sources. Without any request regarding the raised capital or percentage of the investment, the organisation promises the surety of concerning the valuable thoughts of the clients and the investment planners. The organisation is confident about the seeking of applicable entrepreneurs and their capital needed for the business built by the organisation. Venture Giants promises to be the leader amongst the various business providing organisations in the various fields. The company has better aspects regarding the angel investors and their matching entrepreneurs as the motive only concerns with providing the best solution to any existing business. If some small business setup needs a convenient and better approach in growing its business then here the Venture Giants proves to be the promising intermediate solution for the existing problem. As an angel investor, the concern is to deal with the active and existing entrepreneur as if they need to specify and expand the client’s business. Here the Venture Giants most cunning, effective, streamlined exposure to the growing entrepreneurs comes handy because people are ready to collect their funding at an early stage from the other private investment houses and private individuals. The organisation plans to be the perfect place for starting up any investment proposal provided by whichever company dealing and planning to invest in any kind of industry. Venture Giants organizes and plans for the most convenient, quick as well as efficient streamlined process. While organizing the proposals for the various clients, they aim to set –up and grow a pre established business from the bottom to high stakes. With these types of sources and establishments, Venture Giants promises to be the best provider of investment funds for angel investors and their matching entrepreneurs of the leading world.